Atmospheric gravity waves. Their generation and propagation. Parameterization of gravity wave momentum deposition. Member. SPARC Scientific Steering Group of the World Climate Research Program . From 1/1/2011-onwards. One of the core members in the gravity wave momentum budget initiative (WCRP, SPARC) October, 07-onwards. 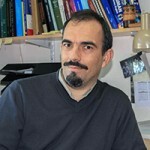 Co-chair Earth Atmosphere Sciences Comission, ANPCyT, Ministry of Science, Argentina (2010). Convener Gravity wave Session August 2010. The meeting of the Americas. Foz Iguazu (Brasil). American Geophysical Union. Convener Data assimilation techniques Session August 2010. The meeting of the Americas. Foz Iguazu (Brasil). American Geophysical Union. Program committee – AGU Chapman Conference: Atmospheric Gravity Waves and Their Effects on General Circulation and Climate. Feb 2011. Honolulu, Hawaii (USA). Scientific Committee. CLIVAR VAMOS Workshop on Modeling and Predicting Climate in the Americas. 4-6 June 2012. Petropolis, Brasil. Scientific Committee. Workshop on Gravity Wave Dynamics and Interactions between Gravity Waves and Turbulence in the ABL. 18-22 July 2012, NCAR, Boulder Colorado (USA). Invited speaker. Exploring the use of data assimilation methods for the detection and attribution of climate change (DADA) workshop. To be held October 15-18,2012. Buenos Aires (Argentina). Organizing Committee. A regional WCRP/SPARC Workshop with focus on the Southern Hemisphere and South America. To be held November 26-27 , 2012. Buenos Aires (Argentina). In 2004, I obtained a Professorship at the Department of Physics in the Northeastern National University where I lead the Atmospheric Science Research Group. In 2008, I took a sabatical (9/2008-9/2009) to visit the Department of Physics University of Toronto where I collaborated with T. Shepherd and S. Polavarapu. Previously, I worked as a Postdoctoral Research Fellow from 2001 to 2004 at the Department of Meteorology, The University of Reading (UK) where I worked with J. Thuburn. I obtained my PhD in Physics (2001), supervised by G. Caranti at FaMAF, National University of Cordoba (Argentina) at the Atmospheric Physics Group.